The latest issue of Full Circle Magazine, featuring Part 3 of Mark’s Inkscape tutorial, is now available for free download. 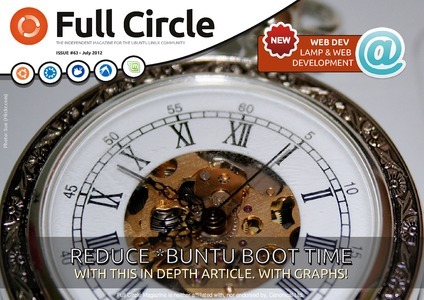 Full Circle Magazine is a free publication which focuses on Ubuntu and Linux in general, though the Inkscape tutorials are largely applicable to Windows and MacOS users as well. Full Circle Magazine #61 is now available to download free of charge. It includes Part 1 of Mark’s Inkscape tutorial. 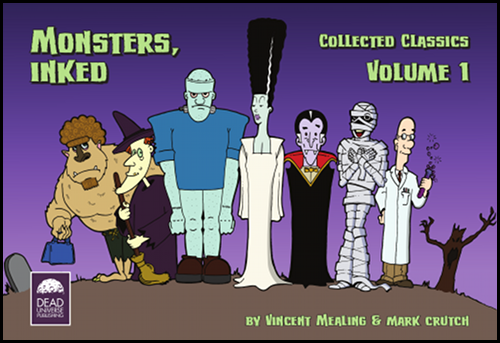 Mark – one half of the creative team behind ‘The Greys’ and ‘Monsters, Inked’ comics – is writing a series of Inkscape tutorials for Full Circle Magazine. The first is a sort of prequel to the main series, introducing the SVG file format, and can be found in issue #60. Full Circle Magazine is available to download free of charge. It’s primarily a Ubuntu Linux magazine, but the Inkscape tutorials are largely applicable to Windows and MacOS users, too. These tutorials will start with the very basics of Inkscape, and over time will expand to cover some of the more complex and powerful features of the software we use to create our comics. Many of the tricks and tips we’ve picked up over the past three years will feature throughout the series. So if you fancy creating your own comic strip, or just want some behind-the-scenes insight into how we do it, start by downloading issue #60 now and follow along with future editions. ‘New brooms sweep clean’, as the saying goes, and a recent change of editor at the Bucks Herald has meant that next week’s Monsters, Inked comic (21st March, 2012) last week’s (see the addendum below for an important update) will be the last to appear in the newspaper. To say that we’re disappointed by this news would be something of an understatement. We thought this was going to be a long term arrangement, and have plotted and paced our comics accordingly. What you’ve seen so far is just the tip of the iceberg: we may be four months into the storyline, but you haven’t even met all the leading characters yet. If we were writing this as a novel, we’ve not yet reached the end of chapter one. In fact we’re barely out of the preface. So we’ve decided to carry on regardless. We’ve got a story to tell, and we’re going to damned well tell it. But there will be some changes. Without a newspaper deadline to work to, we’re going to take a more relaxed approach to this strip. We won’t promise to produce a new comic every week, they’ll just turn up when they’re done. That could stretch our original 2-3 year plot out a little too much, so we’re considering trimming or excising some parts – or perhaps turning them into companion stories that we release in some other way. If you want to follow along – and we sincerely hope you do – the best thing you can do is follow us on Twitter or on Facebook where we’ll post an announcement each time a new comic goes online. Oh, and we do have one final farewell to BH readers, in the form of a special offer. We had been informed by the Bucks Herald that our last strip would appear in today’s newspaper. We also supplied some text to accompany it to tell our readers that the comic would be continuing on our website – and to inform them of the special offer we’re running. Neither the comic nor the text are present in today’s newspaper, leaving readers high-and-dry mid-story, and disrupting our plans for an orderly transition to the website. Today we have posted comic #020 online. We have now also posted #021 – the strip that was supposed to be in this week’s newspaper. We apologise for any confusion this has caused, but the newspaper’s decision not to print #021 was entirely out of our hands. If you feel strongly about the comic being dropped from the paper, or about the lack of notification for readers, then please do leave a comment below and/or let the Bucks Herald know your views – you can find contact details via their website. 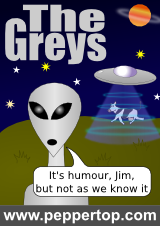 Although Monsters, Inked has only been running for a few weeks now, our other comic strip, The Greys is well into its third year. 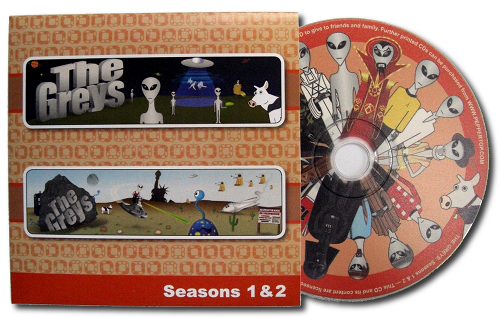 Earlier this year we produced a CD-ROM of the first two year’s strips, plus loads of extras, and to see out 2011 we’ve decided to create a special offer for anyone who orders a CD. For each order placed before the end of December, we’ll also send an original Greys sketch. Not a print, copy or other facsimile, but a one-of-a-kind original sketch created by Vince. The CD’s only £5, including worldwide delivery. You read more about this offer by clicking here.